Before you’ve even made it to the slopes, prepare to be floored by up to £450 of extra costs when you pick up your hire car this New Year. iCarhireinsurance.com, the leading provider of car hire excess insurance, researched the costs of five rental companies in six European ski gateways (i.e., Geneva, Grenoble, Innsbruck, Barcelona, Turin and Sofia) for a week’s hire from 27 December 2018 to 3 January 2019. Photo: ICarhireinsurance.com – Skiers Over New Year Prepare for a £450 Wipeout at the Car Hire Rental Desk. Extras from Europcar in Grenoble, France, were found to be the most expensive this winter. A medium compact car costs £358 for a week’s New Year hire (27 Dec to 3 Jan), and then at pick-up drivers are faced with an avalanche of extra costs totalling £454 i.e., £212 for excess car hire insurance to protect a customer against the first part of any insurance claim (i.e., £161 for super damage waiver and £51 for tyre and windscreen excess waiver), £71 for an extra driver, £55 for a child’s car seat and £116 for a sat nav. Sofia cheapest for car hire, but ‘extras’ still double the cost: Sofia is the cheapest place to hire a car costing on average only £170 for the week, but ‘extras’ at the rental desk can still nearly double this. For example, hiring from Budget costs £121 for the week, but the car hire excess insurance, called Super Damage Waiver, is £81, an extra driver costs £22, a roof rack costs £22, a child’s car seat is £22, a sat nav is £52 and there is a £22 winterisation cost for winter tyres – all adding an additional £221 to the original hire cost. Beautiful view of sunny snowcapped mountains with skis fastened on car roof rails in the foreground. Photo: ICarhireinsurance.com. Skiers Over New Year Prepare for a £450 Wipeout at the Car Hire Rental Desk. The same pattern can be seen in the other destinations. The average price of car hire costs £607 in Geneva, £404 in Grenoble, £367 in Turin, £363 in Innsbruck and £308 in Barcelona. Whilst the average cost of extras (Super Damage Waiver, Super Theft Waiver, Tyre & Windscreen Excess, Extra Driver, SatNav, Car Seat, Winterisation & Ski Rack) are £530 in Geneva, £446 in Turin, £412 in Barcelona, £400 in Grenoble, £334 in Inverness and £248 in Innsbruck. Extra Drivers – Often a necessity for a ski group, the most expensive place to pay for an extra driver was Geneva, where travellers would pay around £70 for each extra driver, rising to £141 with Enterprise for a driver under 25 yrs. Sofia is the cheapest place adding around £30 to the final bill. Expect to pay around the £50 or double that if it is a young driver. Car Hire Excess Insurance: When driving in wintery conditions it pays to get adequate car hire excess insurance, otherwise any claim up to the excess amount is the driver’s responsibility, which can be as high as £1600, for instance, in Geneva with Europcar. Buying this from the rental company is expensive, and a lot can be saved by buying in advance from a specialist provider, like iCarhireinsurance.com. On average this excess or waiver insurance will add almost £170* to a hirer’s bill if bought from the rental desk. Avis and Enterprise charge over £200 for their Super Damage Waiver insurance in Geneva, which at £28 a day is nine times more expensive than a £2.99 daily policy from iCarhireinsurance.com, which also includes vulnerable parts of the vehicle, like the tyres and windscreen, which are sometimes excluded from rental company policies. Two pairs of skis loaded into a ski rack on top of car. Heading out for a day of outdoor fun on the ski slopes.Photo: ICarhireinsurance.com – Skiers Over New Year Prepare for a £450 Wipeout at the Car Hire Rental Desk. Roof Rack: An essential piece of kit for many skiers. Budget for around £40 for a roof rack, although Grenoble and Barcelona rental companies charge around the £60 mark. Sat Navs: The most expensive place to hire a sat nav is Geneva where two companies charge over £150 (Budget [£156] and Avis [£159]). Across all locations the average charge was still a hefty £90 so remember to take your own or buy one. Child’s Seat: Expect to pay at least £60 for a child’s car seat although this could be as high as £90 with Hertz in Barcelona. Take your own and put it in the hold. Photo: ICarhireinsurance.com – taken at Schilphol Amsterdam. Skiers Over New Year Prepare for a £450 Wipeout at the Car Hire Rental Desk. *Across the destinations, the average cost of Super Damage Waiver is £115, Super Theft Waiver is £17 and Tyre and Windscreen Waiver is £39, totalling £171. A single policy from iCarhireinsurance.com, from £2.99 a day (or an annual European policy is from £41.99) covers all these. Young Couple on a Chairlift- Photo by ICarhireinsurance.com – Skiers Over New Year Prepare for a £450 Wipeout at the Car Hire Rental Desk. Snowy road at Passo Lavaze in Val di Fiemme, Trentino/Sud Tirol. Photo: The-Ski-Guru. Skiers Over New Year Prepare for a £450 Wipeout at the Car Hire Rental Desk. 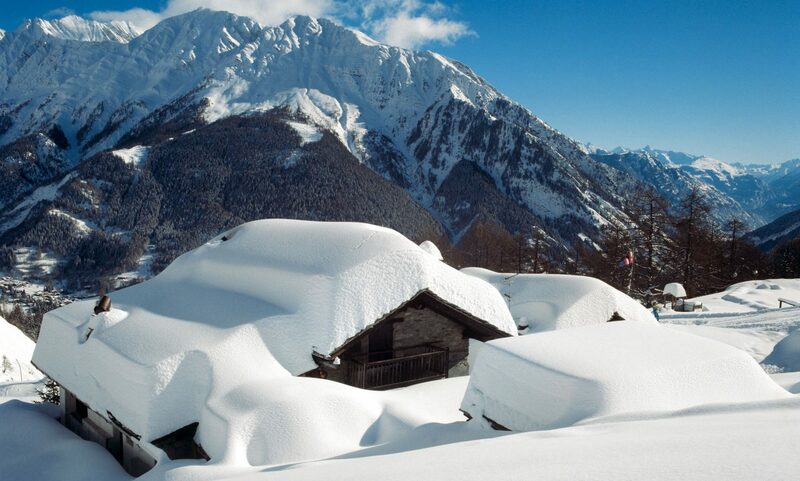 Featured Image: Skiers Over New Year Prepare for a £450 Wipeout at the Car Hire Rental Desk. Photo by Adrian – Unsplash – taken in Mont Saint Helens, USA.